Have you ever paid attention to how something new and different seemingly comes out of nowhere and suddenly disrupts everything overnight? 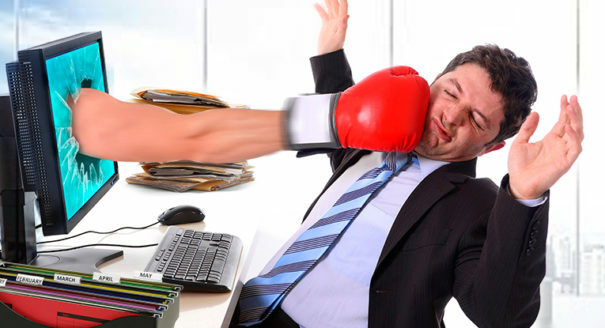 For businesses it can feel like a sucker punch. Here are some quick historic examples. The introduction of the telephone to homes and businesses demolished the need for telegraphs. The television quickly disrupted radio listenership. The internet killed the need for most people to read newspapers. Email significantly impacted the postal system. Online movie streaming knocked businesses like Blockbuster into extinction. And now, the continuous evolution of smartphones and apps is turning multiple industries on their heads. Everyone of those disruptors can be viewed as an overnight success. Or, were they? The telegraph took nearly 60 years to invent. The telephone took about 35 years to come around. The television took over 20 years to get into the first living rooms. The internet has been slowly developed since the 1960s. It’s chronicled that email first began 40 years ago, and smartphones are over a decade old. What all seemed to be overnight successes actually took quite a while to engineer, scale, and gain traction. When each finally reached a tipping point they seemed to spread like wildfire. The problem for the entities they disrupted was those competitors probably didn’t take them very seriously. In addition, they didn’t plan for the possible change until it was too late. They lacked foresight, creative thinking, and strategic thinking. That brings us to the massive sports giant ESPN and the incredibly valuable lesson that can be learned from them. The lesson is: Don’t underestimate the power of technology and how one thing can disrupt everything. Even if you don’t see the impact right now, what may only be a small insignificant spark can become a raging fire if unattended and not planned for. ESPN recently laid off around 100 people. What’s significant about it, in a company of thousands, was many of them were popular on-air personalities with big contracts that had no idea the layoff was coming. The reasons are varied but many conclude the layoffs were a result of two reasons. Around 2012 ESPN spent billions of dollars scooping up contracts for the broadcast rights to many popular leagues like the NFL, NBA, and college football. It appeared to be an awesome investment at the time. Cable subscriber levels were incredibly strong and the financial gain projected to be even stronger. Around the same time there was an emerging trend called cord cutters – people who decided to cut cable to stream their video content online. At the time, the technology was a little clunky to easily cut the cable cord but it was still possible and a few hundred thousand households gave it a shot. What was a small number of early adopters has now turned into a big problem. Fast forward to 2017 and that little cord cutting spark is massive. Media companies like ESPN failed to see what something small with unbridled potential to grow could do. What was a few hundred thousand attempting to do something 5 years ago is now over 12,000,000 people who have figured it out. Technology evolved and so did the masses. It’s currently estimated ESPN is losing billions of dollars in revenue from the mass exodus of the cord cutting population while still having to pay for massive contracts that aren’t going away any time soon. Even worse, the bleeding isn’t expected to end immediately. It will take a massive strategic change to get back on track. Cord cutters happened quickly but they certainly didn’t happen overnight either. The signs were there from the beginning years ago. Many just failed to acknowledge them and plan accordingly for the worst case scenario. So what does it mean for automotive marketers? For decades, dealerships have been able to rely primarily on several key channels to drive traffic: print media, radio, television, and direct mail as well as some digital sources sprinkled in. Today they all still work but each one is facing challenges as well. The question is, what will happen when one or all of them are no longer effective at reaching who you need to reach efficiently and cost effectively? What’s the plan once that happens? It’s not a matter of if change will happen, it’s a matter of when change will happen. How prepared will you be? Will you have seen the signs and explored ways to evolve as well? Or, will you do like ESPN and ignore them and be blindsided with your guard down when the tipping point occurs? The invention of new technology can appear to massively disrupt the world overnight. Those with the foresight to be aware of emerging trends early and plan for how they can drastically change everything will have a leg up on overcoming the challenge. There’s usually plenty of time to do it if you know what to look for. And, if you think not doing it isn’t a big deal, just ask ESPN what the consequences can be.